Articles and ideas to help you live a fulfilled and financially secure retirement! 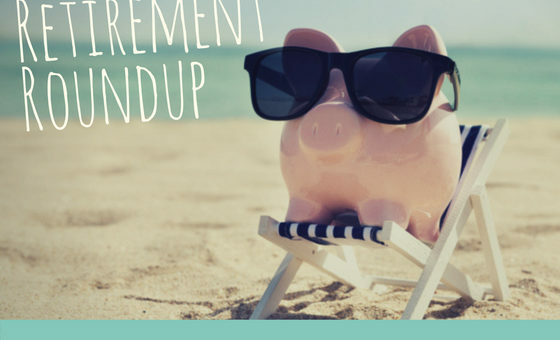 In this month’s Retirement Roundup, we’ve curated our favorite articles from around the web to help you live a fulfilled and financially secure retirement! We start off with a better rule-of-thumb to help you understand whether or not you’re on track for retirement, based on your age and your income. *Hint: The higher your income, the more you’ll need to save to fend for yourself in retirement. Then, we continue with findings from an extensive study on the factors that determine your net worth. These six characteristics were found to have a huge influence on your net worth. Next, we switch gears and discuss social security. It turns out that your social security benefit estimate assumes that you continue working, so it’s important to understand how your social security benefit estimate is calculated, especially if you retire early. We then move on to the topic of financial infidelity. 29 million Americans are hiding a credit card or bank account from their significant other, and a recent survey found that more than half of the respondents believe that financial infidelity is just as damaging for the relationship as cheating. 20% believe that financial infidelity is actually worse than cheating! We also discuss what you can do to prevent and repair financial infidelities in your own relationships. From there, we feature an article about why you should never loan money to loved ones, since it often doesn’t solve the underlying issue, you’re likely to never be re-paid, and the relationship is often damaged beyond repair, due to your new role as debt collector. Lastly, we take a look at an interesting reversal of the rapid advance of robots and artificial intelligence replacing human workers: A hotel in Japan has just laid off their robot workers in favor of actual humans. 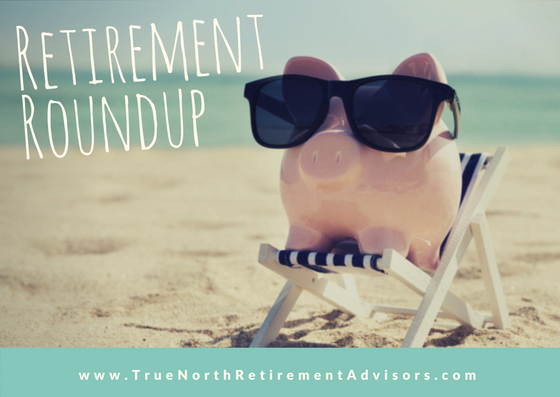 This is one of the most interesting articles we have featured in the Retirement Roundup, and it’s definitely worth a read! For many years, a common rule of thumb that has been helpful for Americans to better understand whether or not they’re saving enough for retirement is a multiple of annual income, based on your age. The rule-of-thumb was popularized by a Fidelity Investments study, which suggested that by age 40, your nest egg should be triple the size of your income. It should be quadruple by 45. At 55, it should be seven times. And by age 60, it should be equal to your salary times eight. And by retirement at age 67, it should be 10 times bigger than your final working salary. So, if you made $100,000 in your last working year, you would need a retirement portfolio of $1,000,000 to confidently transition into retirement. Since then, more nuanced guidelines have been published by J.P. Morgan that expand that rule-of-thumb guidance based on your income. For example, at age 65, you’ll need 5.6x your income to be on track for retirement if you make $50,000/year; 8.4x if you make $75,000/year; and 14.2x if you make $300,000/year. So why do Americans with higher incomes need to save so much more for retirement compared to their middle-class counterparts? For Americans earning $50,000/year, social security will replace about 35% of your pre-retirement income. But for Americans making $300,000/year, social security will only replace 11% of your pre-retirement income. The takeaway from this article and the more detailed numbers from J.P. Morgan is that it’s important to understand how your age and your income will determine how much is enough for retirement. Can anyone become wealthy? The answer is yes, according to a survey of over 600 Americans…if you possess the right characteristics. This is according to Sarah Stanley Fallaw, director of research for the Affluent Market Institute. She co-authored “The Next Millionaire Next Door: Enduring Strategies for Building Wealth,” in which she surveyed more than 600 millionaires in America. Frugality was one of the characteristics that came up over and over again, but what Fallow also found is that these characteristics are inter-related and dependent on each other to realize success. Which of these characteristics are strengths for you? In what areas do you need to improve? Maybe you are a responsible planner, but you need to work on saving more and practicing social indifference, because you often succumb to the social pressures to buy the latest thing or spend more money than you should to travel to “Instagram-able” places. Do the retirement estimates on my Social Security statement include future earnings? In the past month or so, I’ve cranked out several social security analysis projects for clients, where we looked at the impact of their social security filing decision at different filing ages, to help make a smart and informed decision about when to start social security. It assumes that you continue to work. Rather than relying on your social security benefit estimate (which assumes future earnings as part of the calculation), you can obtain a more reliable estimate of your social security benefits by using the Social Security Administration’s Retirement Estimator. Keep in mind that whether you estimate your social security benefits from your benefits statement or by performing a more detailed calculation, you will not be able to definitively know your actual benefit amount until you apply for benefits. If you plan to have a few years where you’re not working, but haven’t yet started social security benefits, your actual benefit amount could be dramatically lower than your estimated amount, so it’s important to take the time to better understand if your benefit amount will be lower than what you’ve planned for. Want to better understand your social security options, so you can make a smart decision about when to file for benefits? Let us do an in-depth social security analysis for you…it’s free! Just send me your monthly benefit estimate amount at your full retirement age (and your spouse’s too, if you’re married): ashleym@truenorthra.com. Hiding bank account or credit card accounts from your significant other – it’s called financial infidelity, and many believe that it’s more toxic for your relationship than physical cheating! A recent creditcards.com survey found that nearly 29 million Americans are living a double financial life and hiding bank or credit card accounts from their significant other. The good news for baby boomers and older Americans – you’re half as likely to experience financial infidelity in your relationship, compared to millennials. So, what can you do to prevent or repair financial infidelity in your own relationship? First, the realization that every strong relationship is built on trust can go a long way toward discouraging financial infidelity in your relationship. Another sound piece of advice from the article: take the time to do a complete inventory of all your accounts, and use the opportunity to come clean about any “financial infidelities” in your own relationship. The topic of loaning money to a friend or family member can be a sensitive topic. Many of us have been approached by someone we know asking for a loan or a helping hand. You may be wrestling with the decision to loan money to a loved one today or in the future, so it’s important to understand how your decision to loan money to someone you care about can be disastrous for your relationship. You’re a last resort. They have often exercised all traditional options – credit cards and bank loans. Often, traditional lenders won’t lend for good reason: the risk is too high. You probably won’t get paid back. According to the article, ¾ of people who borrow money from family and friends never repay the entire loan. *This can often be the greatest threat to your relationship. If you’re going to make a personal loan, you better be willing to be okay with never being repaid. The problem is that it’s incredibly hard to forgive and forget, especially when the person you loaned the money to has violated the trust in your relationship by not holding up their end of the deal. You could be enabling your loved one. Is this a one-time emergency, likely to never happen again? Or are you continually bailing your adult children out of poor money decisions? You might actually need the money. Is this loan causing you to sacrifice your own financial security? It’s always hard to say no, but sometimes, you must because saying yes would put your own financial life in jeopardy. Having to repeatedly ask for overdue payments will get awkward. No one wants to be a debt collector. Enough said. The next time a loved one approaches you for a loan, consider these common, awkward, and potentially relationship-destroying reasons why you shouldn’t loan money to people you love. And if you are going to loan money, be sure to get an agreement in writing. In an interesting reversal of the rapid advance of robots and artificial intelligence replacing human workers, a hotel in Japan has just laid off their robot workers in favor of actual humans. Before continuing, you probably have an important question that needs answering: Yes, there is a hotel in Japan that is run by robots. At Japan’s Henn-na “Strange” Hotel, 243 recently laid off robot workers proved to be pretty terrible at checking you in, carrying your luggage, and telling you what time the theme park opened. It turns out that humans are still needed…at least in the hotel industry. WHY STARTING SOCIAL SECURITY AT AGE 62 COULD COST YOU OVER $500,000! The views outlined in this newsletter are those of True North Retirement Advisors (TNRA) and should not be construed as individualized or personalized investment advice or tax advice. TNRA are not licensed tax consultants, please contact your CPA for advice on your specific tax situation. Any economic and/or performance information cited is historical and not indicative of future results. Economic forecasts set forth may not develop as predicted.